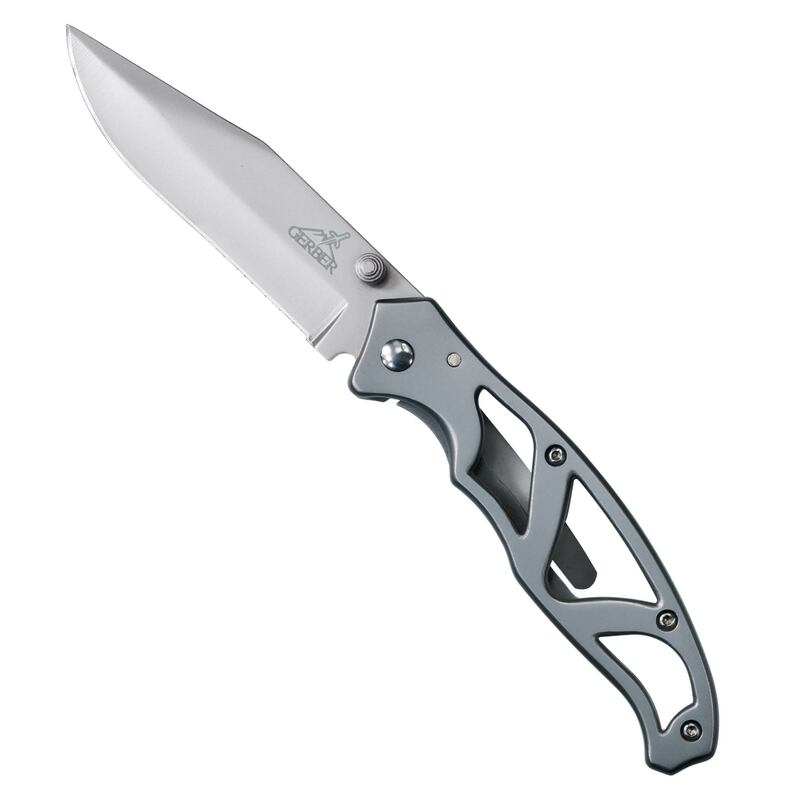 Gerber Paraframe II Stainless Steel Folding Clip Knife with fine blade is beautifully simple with a smooth stainless steel handle and clip for secure travel. The largest in the Paraframe Series, the Paraframe II is based on the same minimal frame lock design. A beautifully simple open frame tool with a 3.5" length, 440A high cardon stainless steel fine blade, offering superior blade retention and corrosion resistance that's lightweight, easy to clean and opens effortlessly with just one hand. Built with a smooth stainless steel handle and clip for secure travel, the Paraframe II embodies everything a larger everyday carry folding knife should be. Essential for in the truck, the van, on site and your pocket, essentials are the tools that get us out of those unexpected jams every single day. The pocket tools, multi pliers and everyday carriers that we reach for over and over, built to be durable, lightweight & efficient. 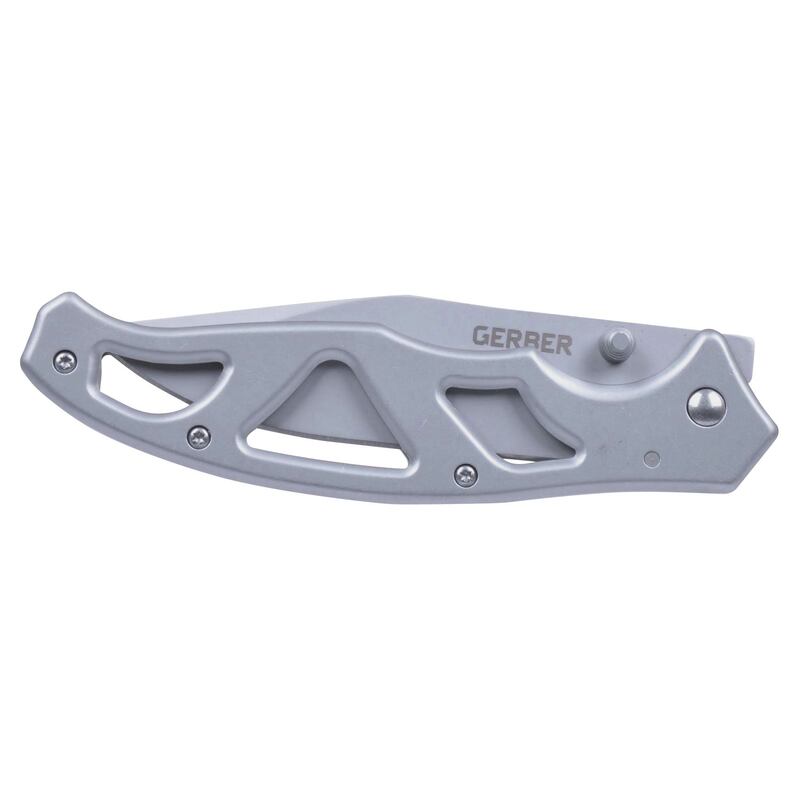 While the style of folding clip may vary, these everyday, general purpose tools feature Gerber's most exciting designs, a good working blade, a secure lock and a strong handle. Sturdy pocket clip holds the tool firmly in place deep in the pocket while still offering easy access.